Looking back on the arts in recollection, 2012 has been the most promising and encouraging year, arguably since independence, ushering in exciting times indeed. It passes with quite a number of highlights; Cynthia Zukas was honoured by the queen of England for her contribution to the development of the visual arts in Zambia, Zambia Breweries launched multi-disciplinary awards for music, the arts have a brand new ministry, which subsequently announced the National Arts and Culture Commission. For the first time in the country’s history we seem to have a government that is dedicated to developing the arts as a creative industry, and if the arts minister’s recent remarks in her speech at the 15th Ngoma Awards are anything to go by development of the arts is on the right trajectory. “The PF government has been working to develop an appropriate vehicle with which to drive the practical development of a wider job creation platform, more equitable national development and better international relations through the arts and cultural sectorOver the past year the PF government has demonstrated a timely and efficient strategic direction by creating a new ministry of tourism and arts,” said Sylvia Masebo in part of her speech. “The creation of the ministry of tourism and arts is an unprecedented effort to address long neglected challenges in the arts sector… With the creation of the Arts and Culture Commission, the arts and culture sector will now be uniquely positioned to create and preserve jobs and promote the rich and diverse arts and culture assets of Zambia, this important policy will also enable the PF government to distribute critical resources at the national provincial and district levels”. The minister also promised that in the coming years the PF government will work tirelessly in supporting and promoting the arts. 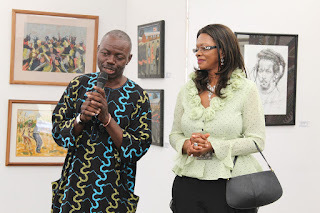 The arts commission she spoke of came following a presidential pronouncement during the opening of parliament on the 21st September 2012, as an advisory and implementing body. The idea behind the creation of the Arts and Culture Commission is to make an enabling environment for the growth of the sector and industry. In fact the National Arts Council of Zambia Act 170 will be repealed by the commission and whatever structure is instituted should be one that will go to the districts and provinces and it is to have a secretariat at the ministry of tourism and arts. Last month the National Arts Council hosted stakeholders workshop on the creation of the arts and culture commission, which was attended by a sizeable group of representatives from arts and cultural agencies under the supervision of the Department of Arts and Culture, where Zambia Open University arts lecturer William Miko delivered a communique on behalf of the participants. Although grateful to government in what seemed an enthusiastic address by Miko, he highlighted a number of concerns that may need to be taken seriously if the commission is to be of any true benefit. “We recognize and reiterate that the magnitude of the establishment of the National Arts and Cultural Commission is of great importance in order better coordinate the activities related to the documentation, research, preservation, protection, promotion, enhancement and transmission of the intangible and tangible arts and cultural heritage to future generations and for national development”, he said. Miko urged government to expedite the formation of the commission and requested that an institutionally representative focal point committee should be appointed by the Permanent Secretary of the Ministry of Tourism and Arts, which will liaise and work closely with the consultant appointed to draft the National Arts and Culture Commission Layman’s Bill to meet Ministerial deadlines. The commission is likely to be headed by a 15-member Board of Commissioners, with members coming from the Ministry of Tourism and Arts as well as other ministries and government agencies. It will also include three representatives from the private sector. These representatives would also comprise the National Arts and Culture Advisory Board, which will be divided into four submissions, the arts, Cultural Communities and Traditional Arts, Cultural Dissemination and Cultural Heritage. As complex as it might sound, this commission could not have come at a better time, there is need however for fresh ideas in the running of arts affairs and we cannot continue going round in circles, particularly that we have a committed government. Speaking of going round in circles, this year we saw the return of the Ngoma Awards. After a one year hiatus, would one be overzealous to expect all new and improved awards ceremony, especially now that the arts have a ministry they can call their own. Of course mu effort was put into the preparations of the awards, and yes, it is easy to be an arm chair critic, but this year’s Ngoma Awards, instead of returning with a bang, appeared to be the worst in the 15 year history of the accolades. It was hard not cover one eye in embarrassment throughout the evenings event. The lighting and sound was pitiful to say the least. Then there was the stage that had dreadful pieces of vinyl advertising from one of the sponsors at the immediate backdrop of the podium. Certainly there was an attempt to make it glamorous by opening it with the classical Lusaka Youth Orchestra but it did not seem to be the best night for the following act, Bare Feet. On a good night they are the country’s best dance troupe but their attempt at Korean pop artist Psy’s worldwide hit Gangnam style was dreadful, not to mention the outfits, leotards and santa hats. The fashion segment that featured models in locally designed outfits appeared to fall from nowhere. The skilful gospel rapper Pompi tried to rescue the event with his crystal clear vocals, but then disaster struck when HK, who apparently is supposed to be a comedian gave the driest performance probably in the history of comedy itself, as not a single member of the audience applauded him, at least the presenters could have helped by asking the crowd to clap, but they too appeared inexperienced. After watching HK, a show like this becomes hard to follow. Then there was also the confusing segment of the chairman’s award that went to creative Zambians in the diaspora. As much as they are all hard working and deserve to be honoured, one wonders who was doing the voting and what criterion was used. This year’s event brings to thought the memories of a 1980s variety show. Festive Expression, the on-going exhibition running at the Visual Council of Zambia’s Henry Tayali gallery in the Lusaka show grounds is an attractive display of paintings and a few wooden sculptures. It is not attractive in the sense that it has anything new or overly outstanding in terms of thematic subject matter or technique, and the artistic expressions on display too have nothing to do with Christmas or end of year festivities. However, the main attraction to the exhibition should be without doubt the unexaggerated pricing on most of the works, including those by the likes of the much collected painter Poto Kabwe whose work also features in Oprah Winfrey’s private collection. There is a fairly-sized painting by Kabwe, one of Zambia’s most important daily-life painters entitled Fetching Water going for as little as K950, 000, which is an absolute bargain and its value, is bound to increase at least fourfold in the next year. 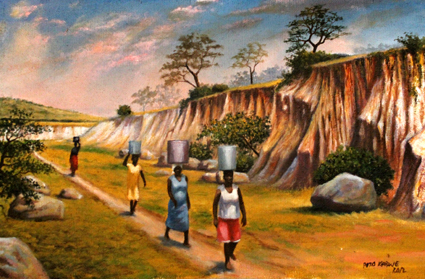 Fetching Water is a typical rural scene by Kabwe. Although its title is drawn from the four women on a footpath balancing water container on their heads, it also provides for a magnificent landscape with a blue sky, hills, yellowing grass suggesting the beginning of the dry season, a rock face and boulders. Again while the prices are arbitrary the average range is between K200, 000 (two hundred thousand) and K1.5 million, these are definitely not your everyday exhibition prices, so this on-going show may just be labelled an end of year sale, which is not entirely a bad thing. But, there are also exceedingly higher priced paintings hanging in the gallery such as Christopher Simbule’s We are One Family that has a price tag of K7million. The painting depicts a sports bar scene with pub patrons enjoying a game of pool. A very entertaining painting indeed that will hang well in any restaurant, lounge bar or night club. But its price tag is bound to scare off any potential buyer if compared to other works in the gallery even though it was one of most skilfully painted pictures and quite possibly the author’s favourite. But this seemingly conflicting and unregulated pricing, arouses the question on what really determines the cost of a work of art and brings to mind the thoughts of American art historian and novelist Noah Charney. Charney, expressing his thoughts through the fictional character Genevieve Delacloche, an expert on paintings by Russian painter Kasimir Malevich in the 2008 crime thriller The Art Thief. “A four-year-old girl could sneeze on a piece of paper, and if someone loved it, and was willing to pay one hundred thousand pounds for it, then its value is one hundred thousand pounds, full stop… The selling price has nothing to do with the work of art being good or not,” writes Charney who is also founding director of the Association for Research into Crimes against Art (ARCA) an international non-profit think tank and consultancy group on art crime prevention and art protection. Nevertheless, Zambia’s art pricing and sales methods may not apply to the global standards of Christies or Sotheby’s auctioning systems or indeed the international gallery practices, but even so, Charney’s reflections on art pricing does give us food for thought in drawing parallels against our own, local setup. Still, most of the prices in the Festive Expression exhibition are ideal for the season of giving. In case you intend to purchase a Christmas or end of year gift for a friend or loved one who appreciates art, it is a ‘must visit’. 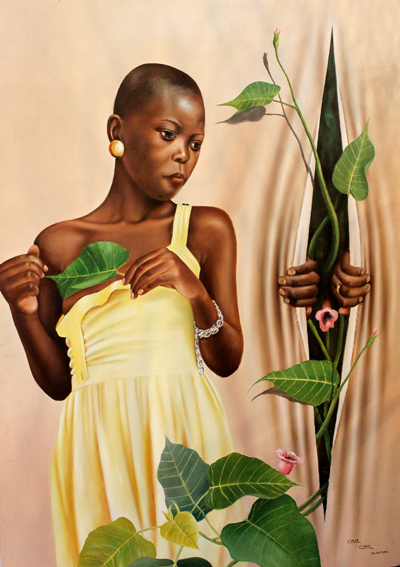 Works such as Oliver Sakanyi’s enormous portrait of a woman entitled A Young Lady is a run for money at K1.3million, as much as the painting does not say much, it can cover an entire wall in the average front office space of any business house giving it an artistic ambience. 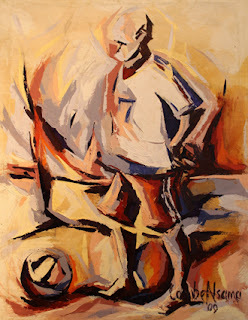 And for the corporate houses and individuals who have been congratulating our beloved Chipolopolo skipper Christopher Katongo for being voted the BBC 2012 Africa Footballer of the year Award, there is an abstract painting entitled The Footballer, by Lombe Nsama who won a Ngoma Award last Wednesday. 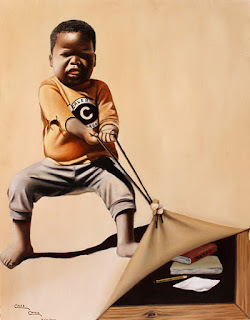 Why not get the skipper this painting for only K2.8million, he can put it in his home and it will last longer than any billboard or advertisement, if they need the usual publicity, they can ride on the press and hand it over to him at a ceremony or briefing. Alternatively, the painting would also sit ideally in the foyer of Football House; surely FAZ has a coin or two to spare on beautifying their premises. Certainly, the prices may not seem that affordable to the average Zambian particularly with the recent talk about escalating Millie meal prices, but getting a bargain on works by skilled and well accomplished Zambian artists such as Smart Banda, Mwamba Mulangala, Mulenga Chafilwa David Chibwe Raphael Chilufya and others does not usually come ones way. 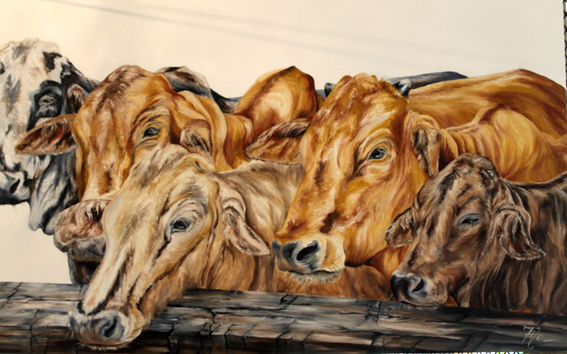 Mention Magoye in Southern Province and the first thing that comes to mind is agriculture and cattle ranching, a contemporary art exhibition is the last thing that you would expect to take place there. 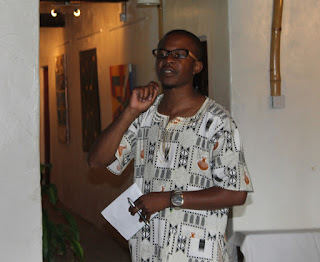 Last Sunday however, German artist Peter Gustavus held an exhibition entitled Processes, which was in fact organised to celebrate the official opening of the Shazula Cultural Forum an art space intercultural education and creative tourism that he runs with his Zambian wife Namoko Shamaya-Gustavus. 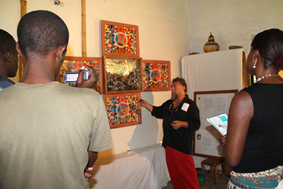 Although this was the first exhibition to be held there, the centre, a large thatched building which is also the couple’s home has been the venue for a number of creative workshops and tourist activities being just seven kilometres off the Lusaka-Livingstone road and about 37 kilometres from Mazabuka. 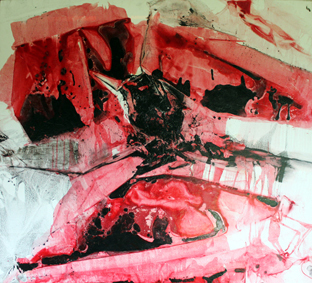 Gustavus current abstract works, that feature old bones and ash as a medium reflects environmental awareness as well as his concerns with what happened at Fukushima in Japan. He is actively opposing nuclear energy because he believes that this technology is too dangerous for mankind because the question of what to do with toxic waste is not yet answered satisfactorily. 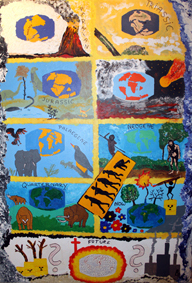 The Four Ancient Elements, the centrepiece of the exhibition, typifies Gustavus complex thought and creative processes. Luckily, Gustavus was at hand to explain the work to a bemused audience who could not seem to understand what the work was about. “Fire, water, earth and air, the four elements always represented a challenge for mankind and that is still the case. Handling them are milestones of human history. In mysticism and mythology they play an extraordinary role. They are considered as divine. In legends and tales man fights with the elements for its life. Mankind thrived by controlling them. To master them is a precondition of our modern life,” he explained. “Nevertheless, it is an equal fight because man is not always winning but often enough the four elements remains with the upper hand. Even if we control them it is up to us whether they stay for life or death, for good or evil”. Alongside Gustavus work was a cluster of paintings in series entitled Paradoxical Order In Chaos by a 61-year-old German art and biology teacher, Rosa Therese Harter from Berlin. Her four works in the exhibition explore the “chaos theory”. The paintings appear more like a chaotic pouring of paint and may be classified as abstract expressionist eliminating manual brushstrokes the artist may have held the process more important than the outcome of the work. Some of the other works that focuses on environment are by 31-year-old Barbara Lechner-Chileshe an Austrian volunteer married to a Zambian and works near Mazabuka where she founded and runs Malaikha, probably the only boarding school for the blind in Zambia. “I have six paintings in the exhibition but only two are abstract, of course doing the painting it is a process, but even when looking at the work that itself is another process. So the interpretation of an art work too is a process. I used some ash that I had been collecting in my ash tray from smoking, my work talks about the environment and also about the future, how it will be if we do not take care of it,” explained Barbara who was also experimental in organising the exhibition as well as putting together the 32-page exhibition catalogue. 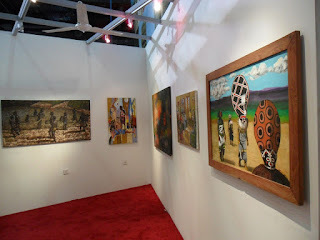 The Choma-based couple Patrick and Esnart Mweemba were also featured in the exhibition, displaying a number of paintings and prints between them. Mweemba confessed that he did not truly grasp the theme of the exhibition but convinced Gustavus to display some of his old works, which fortunately were among the first pieces to be sold at the exhibition. “Peter informed us about the exhibition and called us here about three months ago, it was about ‘process’, ‘reactions’ and ‘interpretations’ so the works should actually explain these three things so it took time for us to understand what he was talking about so we ended up bringing some of our old work at the last, but then we also convinced him to change the theme or be more flexible with it” said the 66-year-old who remains one of Zambia’s senior most practicing artists specialized in printmaking. Another Choma-based artist in the exhibition, Bert Witkamp featured a series of three geometric drawings whose intention is for the observer to find out how each element of a series is related to the others. 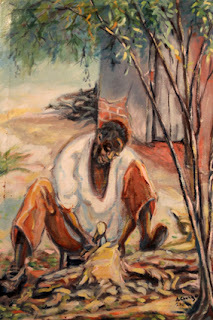 Witkamp taught art voluntarily at the Evelyn Hone College in Lusaka during the 1970s and he is also the founding director of the Choma Museum, where he is having an on-going exhibition with other artists. Last, but definitely not least among the artists that exhibited in the process exhibition is Orment, a deaf and visually impaired pupil from Malaikha School. Preparing for this exhibition was the first time he had access to paper and colouring pencils. 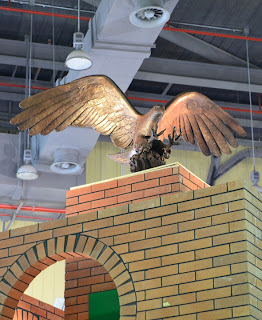 The 22-year-old showcased a number of drawings on various themes related to his rural environment. Gustavus effort to come up with such a centre, albeit turning his home into an art space can only be applauded and definitely has to be supported. Fortunately, much of his support came from the community around Mazabuka, Magoye and Choma and the show even managed to realise a number of sales showing that even outside Lusaka it is possible to make things happen in the contemporary art circles. 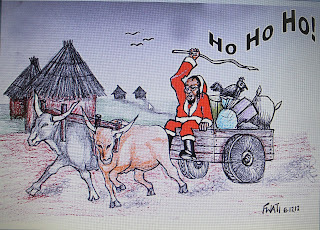 Is there truly anything African about Christmas? “It’s the season to be jolly”, goes the old Christmas song, and Christmas propaganda too tells us that it is “the season of giving”, which likewise encourages us to plunge into the pricey and pretentious realms of western-style material consumerism to buy gifts. Initially a season on most Christian calendars set aside to commemorate the birth of Jesus Christ, it has also become the season in which one cannot innocently walk into a supermarket to buy a loaf of bread without being bombarded with the shriek of carols, the glare of dazzling decorations and the onslaught of Christmas sale pamphlets and advertising supplements. Television, radio, newspaper and online advertisements too, do not spare us or give us a moment’s peace, despite this also being the season of peace and goodwill to all. We are repeatedly barraged with commercials that send children into a frenzy as they entice parents to go to the nearest shops and splurge money, on toys that will be broken before New Year. Where is this article going you might ask? 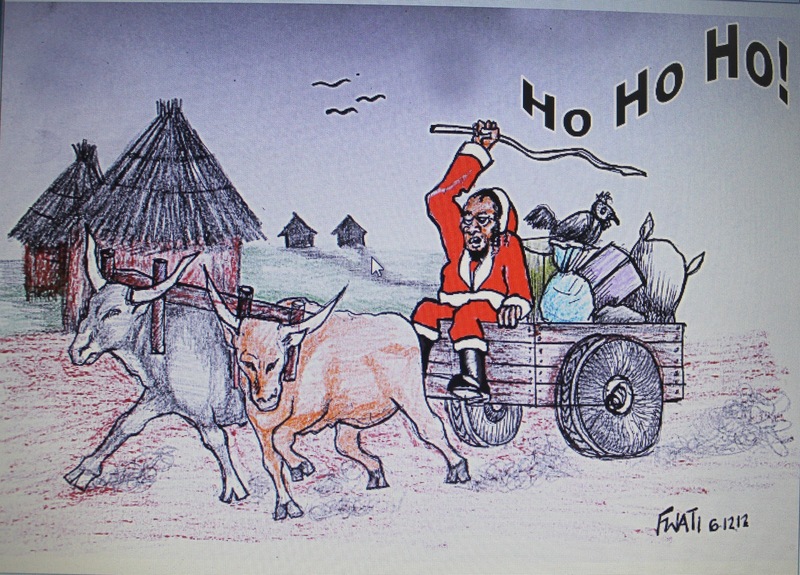 Truth be told, the question we should be asking ourselves during this season is, what the cultural significance of Christmas is, or certainly what has it become to us as Africans? And putting the commercial aspect aside for a moment, let’s look at some of the songs that we sing along to and have become so fond of that we can recite them probably even with more clarity than we can, remember the lyrics of our own national anthem. Take the time-honoured “Jingle Bells” for instance, a song most of us haven’t the slightest idea when and where it was composed. But every season we sing along to it, and it is - one must admit - quite fun to sing with the young ones, but do we ever put it to thought when we start the song with the words “Dashing through the snow, in a one horse open sleigh”. Honestly, how many Zambians have seen or experienced snow, or ever will, and we all know how hot it is here this season, we are experiencing one of the hottest and driest rain seasons possibly in decades. And how many of us will even get to see a one horse open sleigh. It is hard enough to see a horse, need not mention a sleigh or to imagine dashing through the snow in one. Most of us are more likely to see an ox drawn cart than a sleigh and horse in our lifetimes, and instead of snow, what we have is mud, now that the rainy season is finally setting in. So we are therefore likely to be dashing through the mud in a one ox open cart, as funny as the thought might sound, it just might be a more likely adaptation of the Jingle Bells. Christmas also comes with reindeer. Not Eland, Roan antelope, or Duiker. Reindeer, an animal only found in the colder, snowy regions of the world. Do we ever give it a thought when we send Christmas cards with reindeer and snow flake designs on them, or when we see glowing, life-sized reindeer models in the decorative lighting at shopping malls. What's more don’t we all Rudolph the Red-Nosed Reindeer? Whom we are told leads about eight of his comrades in pulling Santa’s toy laden sleigh around the world on Christmas Eve during his annual missions to distribute gifts to children who have exhibited good behaviour through the year. It turns out that Rudolph and friends are in fact able to fly, and by using his blinking red nose to guide his friends, they drop Santa on roof tops so that he can slide down chimneys to distribute his gifts. Not that our village huts and township houses have chimneys to in any case. Do we ever give it a thought when we take little ones to the ever mushrooming shopping malls in urban Zambia or indeed are compelled by school authorities in many cases to have the children’s photographs taken with our pitiful versions of Santa. Speaking of children, one might suggest, we have been so brainwashed into buying them toys for Christmas when we at times cannot even afford it, a task that however, has become seemingly easier now that we have an influx of inexpensive, but often sub-standard toys coming in from the orient. 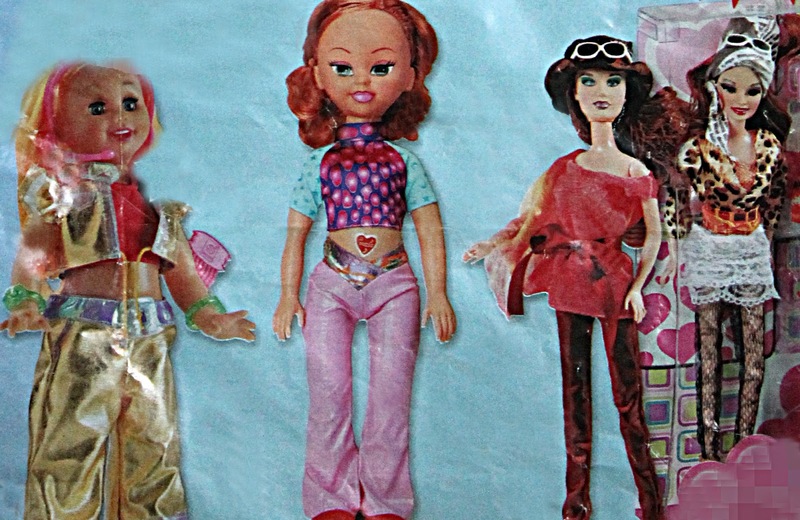 Anyone buying toys for a little girl will attest that the number one toy of choice is a doll or dolly as they are fondly called. But when you look at the options you have for purchasing one from the traffic light hawkers, the so-called Chinese shops or the high-end toy stores and shopping malls, you will notice that most of the dollies have European features. They have blond hair and blue eyes, or red hair and green eyes. Of course this may be nothing to fuss or write about; after all, the little ones for whom the toys are bought may not even notice the racial discrepancies between themselves and their beloved toys in their infantile innocence. But have we ever as adults questioned why our shops should be flooded with these toys or certainly the cultural implications it may have. Have we ever, as toy importers attempted to get back to our suppliers to demand for dollies with African features and attire or better still if they cannot do it, why not attempt to do it ourselves. A visit to the toy stores will reveal such toys as Little Abbey and Emma, Baby Brittany, Wendy Walker and the Belly Ring Doll which features a tummy-bearing child’s doll complete with stomach piercing. 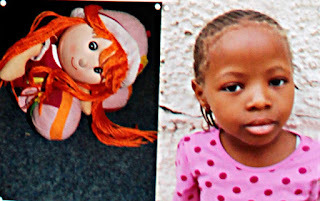 Without pretending to be a preacher, authority on morals, or social expert it is almost undeniable that a child that grows up with a doll that has a navel ring is bound to get one herself at the earliest convenience, not to say this is a bad thing to do depending on how trendy she is or which part of the world she comes from. Early this year, Phiwokule Khumalo a South African 3rd year Fine Art Student interrogated the issue of dark skinned African children playing with ‘white’ dolls in series of photographs entitled I Am My Doll during the Rhodes University’s Annual Student Exhibition in Grahamestown, South Africa. A glimpse of the images Khumalo portrayed in Grahamestown somehow illustrates the innocence of the children with the dolls, so maybe it is not such a big deal after all. As for Christmas, maybe we should continue “dreaming of a white Christmas” and sing this out loud in good old Jim Reaves’ voice as we do every Christmas, even if we should probably be “dreaming of a rainy Christmas”, just like the ones we used to know. After all, who wants to be cited as Riley Freeman, the juvenile cartoon character from Aaron Mcgruder’s comic strip and TV series The Boondoks, constantly ; baring grudges against Santa Claus for not bringing him gifts when he lived in the ghetto, and subsequently venting it out on shopping mall Santas. Likewise, one has to avoid saying “Bah humbug” and being regarded as the compassionless and ever grumbling Ebenezer Scrooge from Charles Dickens's 1843 novel, A Christmas Carol who despises “everything Christmas” and is later visited by the ghosts of Christmas past. In the end, “it’s the season to be jolly”. 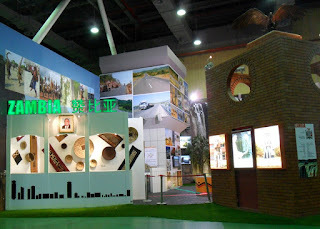 Zenzele Chulu, an artist who was involved in the design of the Zambian stands at the last two universal exhibitions Tokyo EXPO 2005 in Japan and Shanghai EXPO 2010 in China, says Zambia should not wait until the last minute to begin designing its space for the next one, EXPO Milan 2015 to be held in Italy. Responding to an article published in this paper entitled EXPO 2015 to look at art of all countries and continents, and drawing from past experience, Chulu, who is also vice-chairman for the Visual Arts Council (VAC) has advised the interim team not to relax thinking 2015 is far away. “In 2005 we worked quite well. 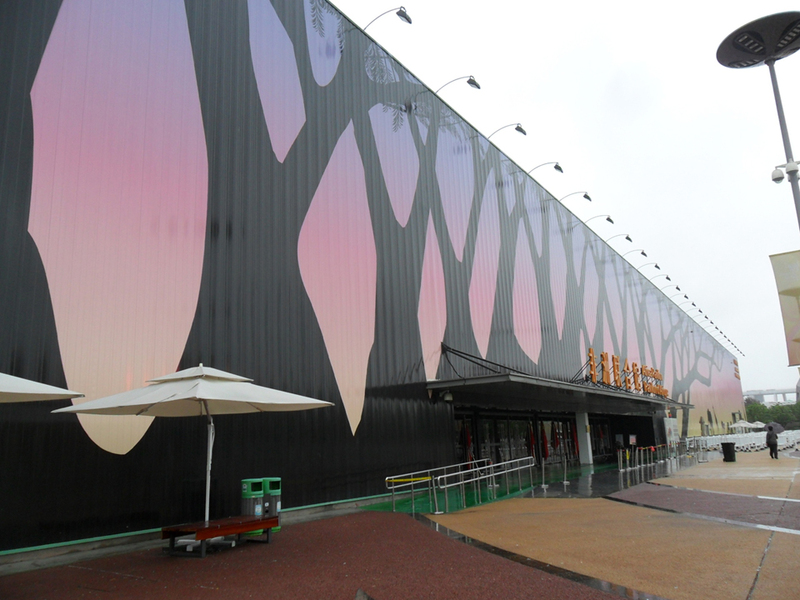 The procedure was that we used to have periodic meetings at the ministry of commerce and trade, but there were so many other line ministries, affiliates and departments involved,” he says “ So I was one of the artists chosen in terms of designing the pavilion. I did the initial design of the stand then the Japanese government sponsored me (the artist), because it so happens that at times other officials end up going to these things instead of the artist,” before long, he was to learn why the Japanese may have been so insistent that the artist be involved from the start. 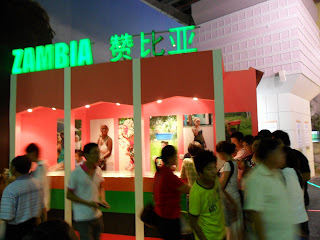 A few years later, in Shanghai he was only called in at the last minute to rescue the embarrassing situation of a shambolic representation of Zambia by means of a badly designed stand whose main colour scheme was pink. Nevertheless, Chulu says when the Japanese sponsored his trip to Tokyo; he was there for 12 days to supervise Japanese constructors and architects as well as add some finishing touches to his original designs from Zambia. Although he did not stay for the opening, he says he was pleased with playing his part. He says the Zambian stand had a pink replica of Lusaka’s thoroughly outdated but iconic and much loved Findeco House, a few stories shy of a sky scraper but still the nation’s tallest building. Much of the replica had to be covered with images of Zambia to cover the bland shade of pink and make it worth a stopover for the viewers. 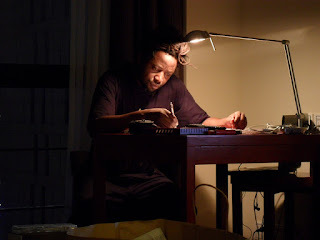 “The time I got back from china, I made a presentation to the Zambian artists and there was a general feeling from the audience that they too would like to have an input next time. So I think next time we could have sort of an exhibition in this case with the theme for Milan 2015 “feeding the planet, energy for life” so that artists can at least manage to come up with ideas well in advance. Even if it means coming up with a small prize” he says. He says next year would be a good time to start working on it even though the country will of course be concentrating on the much publicized World Tourism Organisation gathering in Livingstone. Chulu explained that based on the next EXPO’s theme; there are many areas that can be highlighted in Zambia’s stand, such as the ever expanding hydro electric energy sector as well as showcasing traditional methods of food preservation. Chulu says that in terms of exhibition space at EXPO, Zambia is at an advantage because its exhibition surface area is usually small. “But for the pavilion Zambia is one of the highly indebted poor countries so we are usually bundled into one huge hall and given small spaces in which to exhibit, unlike Angola or South Africa who always have stand-alone pavilions due to their economic strength perceived by the west,” says Chulu. Chulu, 45, is a painter who obtained an art teachers’ diploma from Evelyn Hone College in 1993. He taught art Kabulonga Boys Secondary School in 1998 before serving as acting manager at the Henry Tayali Art Centre. He has participated in many international exhibitions and workshops in Europe and on the African continent and the Mbile and Imiti Ikula in Zambia. He is also a research assistant and coordinator for the Insaka Artists International Artists Trust who is planning an international artist’s workshop to be held in Zambia next year. "EXPO 2015: feeding the planet, energy for life", will be a platform for millions of people from all over the world to come together over a six month period to explore and celebrate "the close bond between nutrition, health, sustainable development and cultural tradition". The event’s display space will be divided into 5 main thematic areas; these being the Children’s Park, Biodiversity Park, Future Food District, Pavilion Zero and what is likely to be one of the most exciting, the Food In Art pavilion. In a presentation at an International Participants Meeting (IPM) attended by a five-man delegation in October this year, a precursor the exposition in Milan last week, Expo 2015 Director of Thematic Areas Matteo Gatto showed some details on how these areas will be structured. Of the Food In Art pavilion, Gatto said it ''will explore the relationship between man and food as an object of symbolic reflection". In Gatto’s video presentation, acclaimed Italian curator Germano Celant revealed that the pavilion ''will look at the art of all countries and continents''. Zambia has confirmed participation in the Expo 2015 and has since appointed a commission for the event as is the custom, comprising Zambia’s Ambassador to Italy, Frank Mutubila as the country’s Commissioner Genera, while his deputy is Zambia Development Agency director Glyne Michelo. In communication from First Secretary Commerce and Trade on behalf of ambassador Mutubila, he states that: "So far, we have a technical working committee comprising the Ministry of Commerce, Trade and Industry, and the Embassy of Zambia in Rome. After this meeting (IPM), the national planning committee will be constituted and it will include all relevant stakeholders." 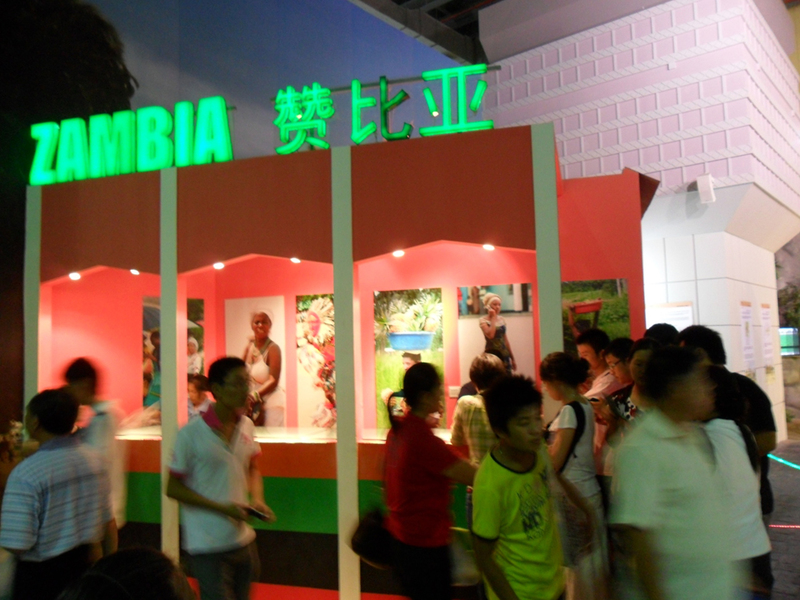 The embassy recently confirmed that Zambia is expected to participate in the EXPO through the "Cluster exhibition model", where its stand will be situated, although the country is yet to sign the participation contract. The cluster in which Zambia shall exhibit is still being discussed and once a national planning committee is formed, it shall among its roles, identify exhibits and other items that will be representative of Zambia, in line with the theme of the EXPO 2015. The embassy explained that although the national preparatory committee for the event is yet to be formed, but tentative stakeholders have already been identified. "Judging from the theme of the Expo 2015, we can indicate that stakeholders in the agriculture, energy, water, commerce, media and health will be among the stakeholders to adequately cover the theme. The designing of the stand for Zambia has not yet been decided as this particular matter will be covered in the participating contract. You may wish to know that Zambia is still consulting stakeholders in Zambia before signing the contract". Is race a determining factor in art sales? In a short space of time, basically since 2010, when he caught the public’s eye at the age of 24 with “… and the dream came true” a painting of President Obama with Martin Luther King exhibited at the Heroes and Heroines exhibition during the Black History Month at the Lusaka National Museum, Caleb Chisha has rapidly established himself as one of Zambia’s most gifted young painters. His work at that exhibition was just a sign of things to come: an affectionate engagement with the time-consuming process of painting and strict precision coupled with bold intensity of colour that he is now fusing with a deep imagination, giving him an extraordinarily unique visual style. His latest works, now showing alongside an artist simply named Fifo at the Zebra Crossing Café on Addis Ababa Drive in Lusaka suggest Chisha’s potential of being the country’s ‘next big painter’, an assumption that even Serena Ansley, the Café owner and art enthusiast agrees with. Chisha, who left for Denmark on Thursday on a privately sponsored, three-month working tour whose details he was not too enthusiastic in disclosing, shared a few insights on his latest work speaking from his small studio space at the Arts Academy Without Walls, a makeshift artists workspace and popular hangout for established as well as upcoming painters and sculptors alike. “I can say I have improved big time. Because since we last talked I never even had my own touch, but now, I can safely say I am becoming confident and developing my own touch. 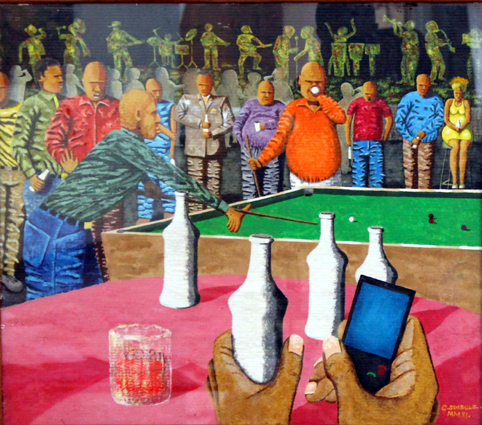 I think I have improved a lot,” said the Ndola-bred painter who migrated to Lusaka in pursuit of better prospects in art, a more positive twist to the infamous ‘Zimandola’ nickname given to the scores of sharp-witted, Bemba-speaking youths that migrated to the capital in swarms to hustle for a living as homeless youths, pickpockets, bus conductors, thugs and ladies of the night when the Copperbelt experienced a long-standing economic downturn shortly after the privatisation of the mines. “Last year I had a lot of commissioned works but this year I’ve been turning some of them down because I’ve been working for exhibitions, I’ve spent most of my time on exhibition work,” said the painter whose new found style, is an expressive language that is quite distinctive and is characterised by an aesthetic that mimics cut and torn canvases rendering layered meanings. “That’s my new touch, I am trying to reveal the hidden truths, and things people want to ignore and pretend are not there. 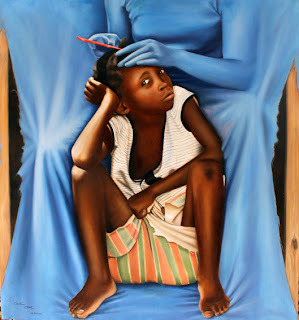 So I paint a torn canvas to reveal the real world, things that people do not want to be seen,” said a self-assured Chisha. A good example of his new work is If Wishes Were Horses. 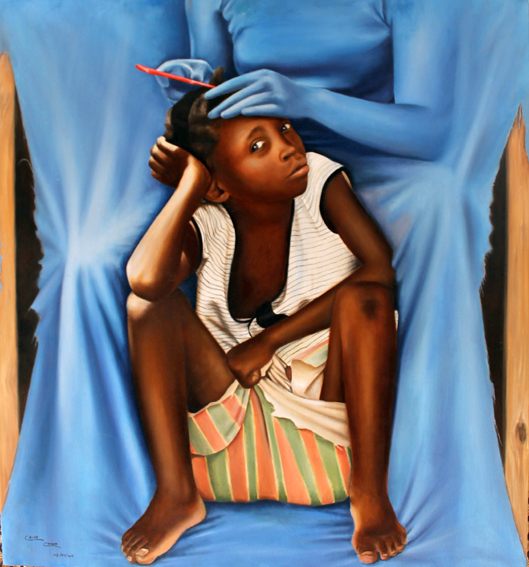 It is the image of young girl seated on the floor having her hair plaited in the manner that township girls do. She is deeply absorbed in thought with a pensive expression on her face, because in actual fact, she is not having her hair plaited. The person plating her hair is imaginary and appears as phantom-like figure under a canvas that has come to life. In the sides of the picture, the artist imitates the wooden inner mounting of the actual painting. 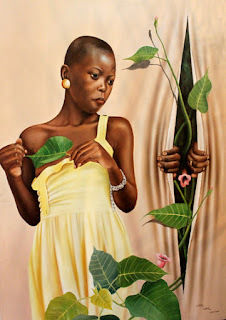 “For an African child it is believed beauty is in the hair, but as a poor girl she cannot afford to be taken to the hair salon, she can only wish to go there, so that is why when she is deep in her imagination there is that figure coming out of the canvas and plating her hair”, explained the artist of this particular work. But as captivating as his work might be, it is a week since the opening and Chisha still has not sold a single of his 20 or so paintings whereas Fifo on the other hand has managed to sell about seven although their price tags are of relatively similar value. Formerly based in Malawi, the little known Fifo, has been working as a full time artist for only three years and this was her very first exhibition in Zambia meaning she did quite well for a virtually unknown, Mukushi-based artist who has suddenly attracted collectors in Lusaka, unless of course she travelled with them from Mkushi. “It’s not easy when you are exhibiting with a white person; you know those guys (people of European decent) support each other. Even the people who bought Fifo’s works approached me and told me how much they liked my work but they never bought anything. But Anyway, it’s a one month exhibition, I am sure I will sell something before the end of the show, “explained Chisha of his sales predicament. Chisha is probably the first artist on record to openly speak out on a dilemma that artists have been murmuring about for some time, except they never get the nerve to say so in the press, probably for fear of losing potential buyers. Race is pretty much a determinant in the purchasing of works and we often ignore to confront the issue of marginalisation of works by Zambians who are not of European decent when shown in an exhibition that attracts or involves the latter. In simpler words, it is the colour of the artist’s skin and not his or her pallete that determines the sales in an exhibition, of course one cannot really put a finger on it, but it cannot be entirely ruled out. Racial fragmentation, a topic that is tackled head-on in countries such as South Africa and Zimbabwe where identity politics is very much a part of their visual and verbal discourse in comedy, theatre, and the visual arts, is avoided as much as possible here in Zambia, including in the media. This very newspaper’s mission statement for instance is quite sensitive when it comes to referring to individuals by their racial heritage, one cannot be addressed as a ‘black’, ‘white’ or other. Anyhow, Chisha may have a point, in February at the same venue, a relatively playful exhibition of paintings by artists virtually unknown on the Zambian circuit, Helen Gray, Storm Treger, Antoinette du Rand and Linda Castle literally sold out. Similarly, London-based Emily Kirby, who habitually visits her Zambian-based parents had extraordinary sales in May this year, so did Nicole Sanderson and Katrina Ring during the same period. Quentin Allen’s show as absorbing as it was goes without saying. But these ‘European decent’ sales are not restricted to this venue alone. The Alliance Francaise in Lusaka too has had quite a few shows with a similar pattern, the latest being ‘Dreaming’ a delightful solo exhibition by Carol Aslin. Chisha’s observation in any case can be interpreted as a cry, a cry if not to ‘his kind’ to start purchasing art; it is the cry for support from a technically unemployed youth who is managing to earn a living by means of his creative talents. He has had no training beyond completing grade 12 at Kansenshi Secondary school in 2006 and in his last interview he was in a dilemma as whether to enrol for a Diploma in art the Evelyn Hone College or a BA in Fine Art at the Zambian Open University. Of course it does not automatically mean that qualifications from any of the two will help him earn a better living as much as it will help strengthen his academic status. Is Chisha not an embodiment of the youths that deputy labour minister Rayford Mbulu said needed support at a youth conference which was held under the theme ‘Finding space for youth in trade unions and creating decent job opportunities amidst a global financial crisis’ in Livingstone recently?. Chisha is just one of several young artists who spend long, late hours at the Arts Academy Without Walls in the showgrounds and other spaces across the country yet later struggle to sell their work. These youths are doing their part; it does not take a genius to see who is not doing theirs. All in all, it is a crying shame for artists that there seems to be no antidote for an aesthetically challenged audience. Chisha and Fifo’s exhibition runs until the end of November. Fifo has some fascinating paintings of landscapes and farm animals, mostly cattle on display and employs an interesting use of dead white space on her canvases. Chisha has a few experimental works on display that one wishes he could have left in the studio as well as a loose end from the art being displayed at My Choice, a décor shop at Manda Hill Mall in Lusaka, painting entitled What’s for Me that had been hanging in the shop for some time. Residential Plots for sale, Maids Available, Airtel Clec Promotions presents Zaiko Langa-Langa live in concert, JK Pistol Independence Album Launch, this list of posters reads like one you expect to find on a bus station notice board or in a market place. 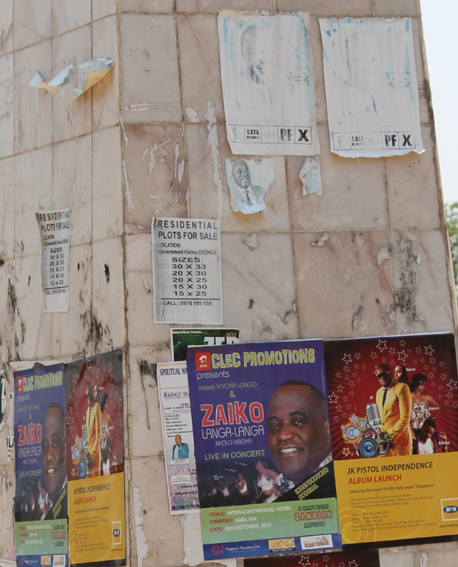 This is in fact a list of posters placed on a historical monument that was erected to commemorate the African Union Summit in Lusaka in 2001 which stands along Chikwa Road, right at the Addis Ababa round-about, somewhere in between the MTN Head Office and Lusaka Girls Primary School. Since it’s unveiling before the summit, just over a decade ago, this sculpture by Flinto Chandia, one of the country’s most celebrated artists has lured every manner of poster from political campaign posters to gospel outreach posters, which is quite unfortunate seeing that the work is a public commission. Some of the glue from older posters has hardened so dry that it will take some kind of industrial thinners to remove these stains. Speaking from his Avondale home early this week, Chandia, gave an insight into the efforts that went into the production of the work which basically depicts two stylized hands holding a map of Africa that is set on a white tablet. Admitting that it was not the best thing to do, he suggested that a 6 foot metal fence with spiked railings on the top should be erected around the sculpture rather than targeting the people who are placing posters on it. He revealed that even before the sculpture was unveild he encountered a number of difficulties within the procurement system for the commissioning of the work. “When working with large stones, you need ready cash at your disposal because there are a lot of payments to be made right from the start. You have to hire a crane to start with. To hire a crane is about K550, 000 per hour in Lusaka, and they will always charge a minimum of 3 hours, demanding the money upfront”, he explained. He also explained that he first had to locate a huge stone, but as much as he was able to find it in the Chalala area in Chilenje South, he then had to hire manual workers to cut the huge rock from the ground in order for it to be transported to his studio. He explained that while some individuals were eager to help get the project started, others were more eager in unveiling the work without fully understanding that six weeks was very short notice for a stone sculpture and the tight-fisted behaviour from some bureaucrats was not helping. 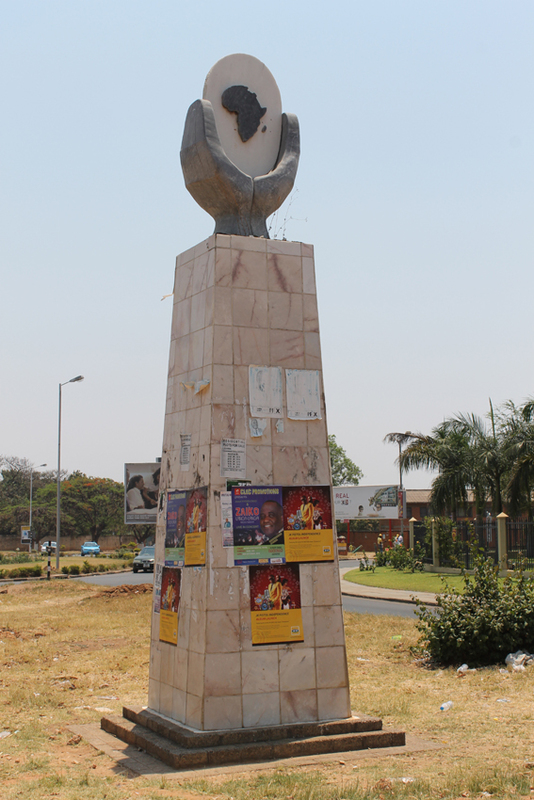 Chandia observed that there are very few works of public art in Zambia and indeed one can count the ones in Lusaka on one hand. Nevertheless, as Chandia rightfully observes, there are very little public art works in Lusaka, let alone Zambia, so it would only be fitting that the works should be protected some how. We should not be surprised if we find posters on Lady Justice at the court buildings or on the Freedom Statue. The two angular arches that commemorate independence for instance, the one in Matero near the police station and the one on the junction as you enter the Kabwata- Madras area just next to the Mosque have been plastered with posters over the years to the point where they are not even visible anymore. These are issues that the much rumoured arts commission (whoever it is going to consist of) that is to be formed can look in to, to come up with a Public Art Protection Policy of some sort, and also to look into the general commissioning of new works. But although the public commissioning of sculptures has been sluggish for decades, Chandia revealed that there has been a rise in indivduals he described as “dynamic Zambian businessmen” with new money who have adopted an affinity for adorning their homes and business spaces with works of art. He said these businessmen, from various backgrounds are collecting and commissioning art without trying to haggle too much with the artists, he is happy that they are buying the work for what he believes it is worth. Before the recent developments of a local market, Chandia used to export his works through Chaminuka Nature Reserve and Safari lodge, under the patronage of businessman and one time voracious art collector Andrew Sardanis. 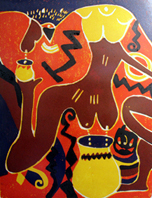 Chandia’s work also features in the Tress collection, California, USA, the Sir Robert Loder collection, UK, the Yorkshire Sculpture Park, UK, the Thabo Mbeki Collection, RSA, the Kenneth Kaunda collection and others, one of his works; a curvaceous female torso can be seen at the Lusaka National Museum. He was one of the first Copperbelt artists to make a breakthrough onto the Lusaka art scene at the now defunct Mpapa Gallery in 1978, and later studied fine art at the City & Guilds in London from 1980 to 1983. He is known for his organic style in hard wood, dolomite and marble. 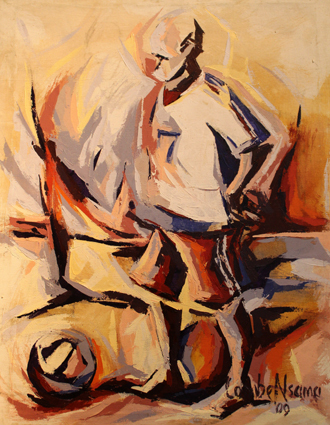 Chandia grew up in a mining township in Kitwe on the same street as the legendary and much revered Akwila Simpasa, late Henry Tayali’s arch nemesis, an artist he has looked up to for inspiration throughout his career. While in the UK, he was also a bass player in the chart-topping British pop band Jimmy The Hoover. In June 1983, their hit single "Tantalise (Wo Wo Ee Yeh Yeh)" reached the top 20 in the UK Singles Chart.